Sweater Shop Story - A family Run Business for 30 years! 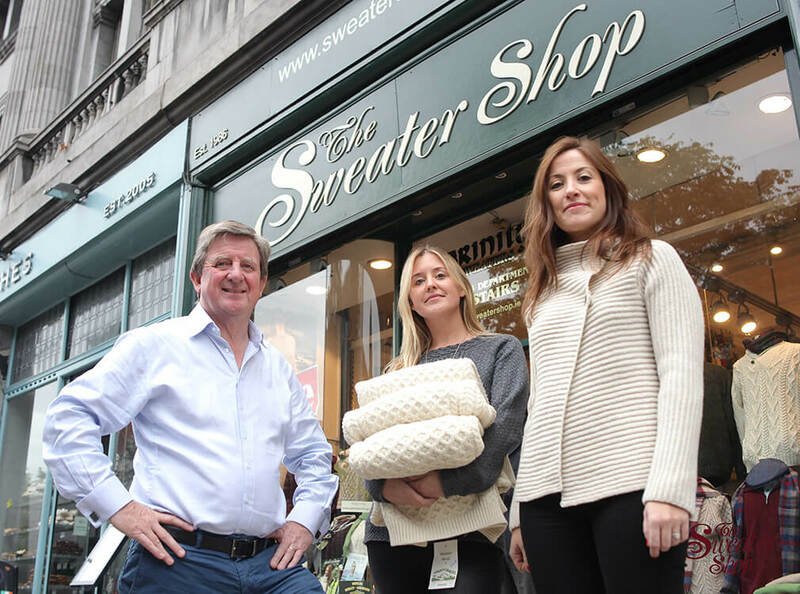 The Sweater Shop is a family run business which was established in 1986 by Dom Byrne who still runs the company to this day. 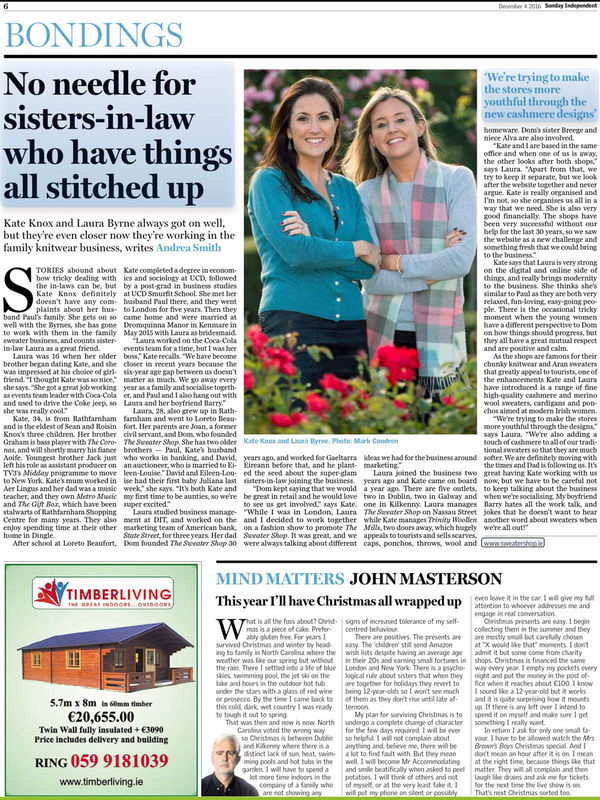 The Sweater Shop is truly a family affair with Dom, his daughter Laura, daughter in law Kate, Sister Breege and niece Alva involved in the business! When asked by a journalist from The Irish Times about what made his shop so special in 1986 Dom commented 'quality, value and selection' and this remains true to this day. The large selection of superb quality Irish Aran knitwear at reasonable prices became so popular with locals and visitors that the business quickly expanded and now there are outlets in Dublin, Kilkenny and Galway city. The flagship store is in Dublin's Nassau Street and is located directly across from Trinity College and is an absolute must for any visitor to Dublin City.